It would seem that this sort of thing couldn’t happen. How is it possible that an entrepreneur, who saw a need in her community, filled that need successfully, is told to quit? How is this even happening? It makes no sense. Christina Landry, military spouse and a veteran herself, founded DumBell Fitness 5 years ago. As a personal trainer, she saw that the number one barrier to military moms getting fit and taking care of themselves was a lack of child care. Seeing that need, she created a company that offered a variety of classes and hired childcare providers to play with and watch kiddos on-site, while moms got their workout in. She hired fellow military spouses and paid them a fair wage. Isn’t recognizing a need, having the gumption to create an idea and run with it a good thing? Give me a reason why this is wrong. To be official and legal, she approached the MWR (Navy’s Morale Welfare and Recreation organization) with her idea. They informed her that it was a military housing decision because of the location of the classes. She then approached the housing company, Forest City, and was given the green light. Please understand a couple of things. 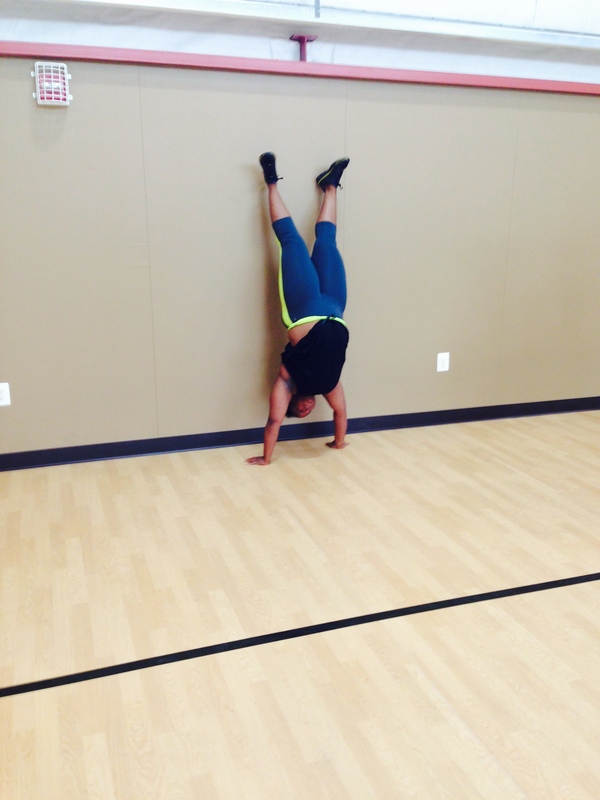 DumBell Fitness is more than just fitness. It’s more than just some random military spouses getting together in unused parking lots and unused grassy fields. They provide clients with the tools to combat depression, long separations, and creates much-needed real community among military spouses. As a result of success at improving physical health, clients realize their own potential – many for the first time. DBF supports our military one family at a time, in a concrete and tangible way. This program literally saves lives. It saved mine. Christina Landry has been selected two years in a row for the 2014 Best of Honolulu Awards for Personal Trainers and now qualifies for the Honolulu Business Hall of Fame. 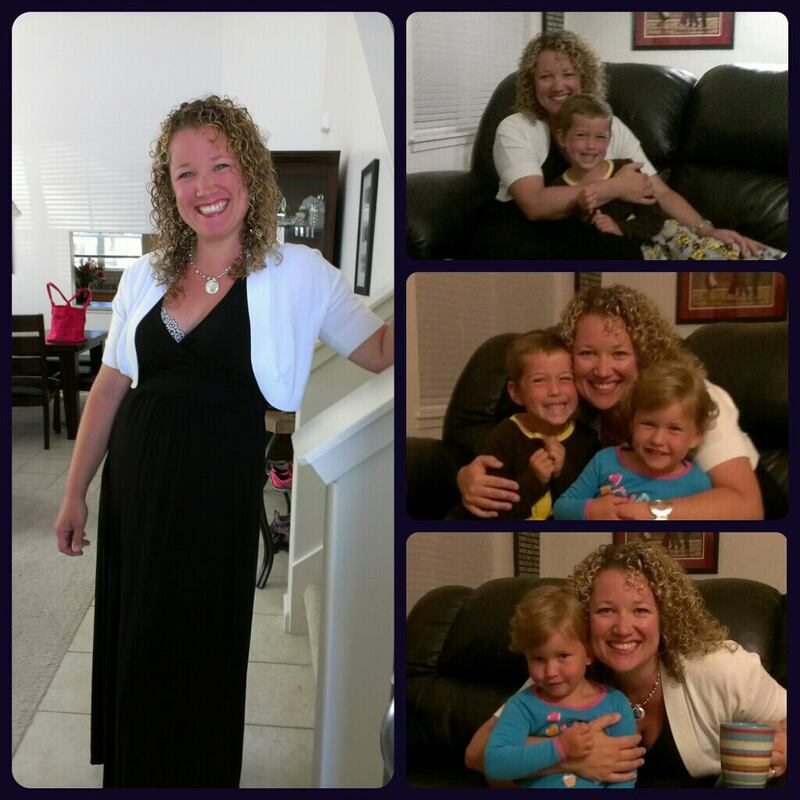 Two consecutive years she was voted Military Spouse of the Year. She not only shares a vision to make her community better, but she actually DOES it. DumBell Fitness gives back by way of local charity events, kids’ bootcamp programs that stress the importance of physical activity for our children, classes and races for charity, volunteerism and so much more. After operating with full legal compliance and permissions, DumBell Fitness was suddenly told they would have to bid on a contract to continue operations on Joint Base Pearl Harbor Hickam (JBPHH). The contract was then awarded to a non-military affiliated company that not only charges more for services, but does not include childcare when DumBell Fitness could not offer MWR more than a 5% cut. 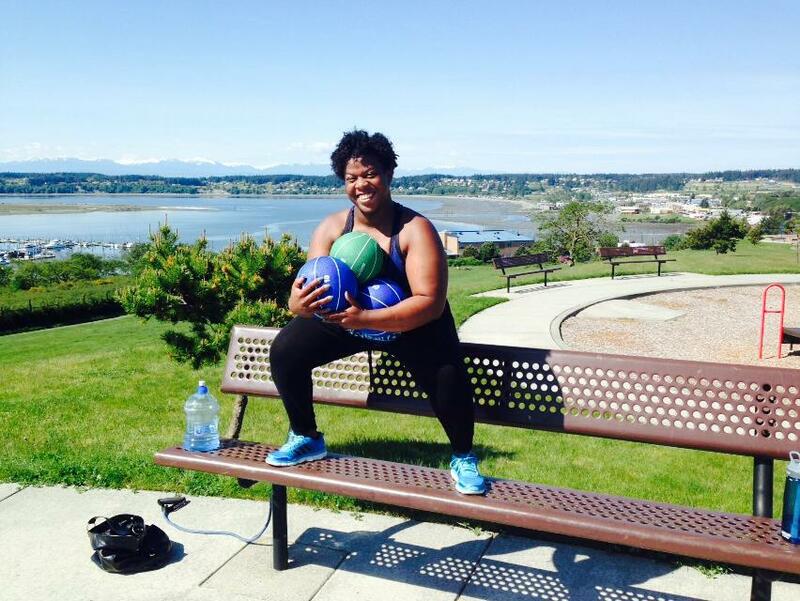 As a contract writer for DumBell Fitness, I know firsthand how this company helps people. I see it in the articles I write highlighting the successes of it’s clients. I read about it in the way these ‘recruits’ can barely put into the words the gratitude they feel for their trainers. This is what loving your neighbor as yourself looks like in action. Just give me a (legitimate) reason why this is even happening, when the benefit to Navy, personnel, active duty, military families, spouse employment and the community at large is so great? Before every PCS move (permanent change of station) there are stages of emotions we all go through, much like the way we mentally prepare for deployments and homecomings. Initially we receive the orders, the “penciled in” ones that are sort of for sure, but could change at anytime. This is where we don’t really get excited yet, because then there would be an additional mourning stage if they did actually change. Then hard copy orders – the ones that can be officially announced. There is some relief with this stage, just having a destination and an end to uncertainty. Then the movers come to assess just how much stuff you have and how many boxes they’ll need to bring on moving day. Then there’s about 4-6 weeks of goodbyes. This is our current stage. And it stinks. We feel the anticipation of the move, the calendar fills constantly with last minute things; visits with friends, must see sights to check off the list because who knows when we’ll live in this part of the country again, and the kids’ ever dawning awareness that we won’t get to take all of our family and friends with us. Have I mentioned that this phase stinks? This morning I led my final workout with my neighborhood fit friends. We’ve had so much fun, shared awesome success holding each other accountable, meeting new people and being open. This has been a tangible lesson for me on the importance of taking risks, putting myself out there, moving forward despite fear, and reaching out regardless of time limits. After this class, the words spoken to me will forever be etched in my heart. 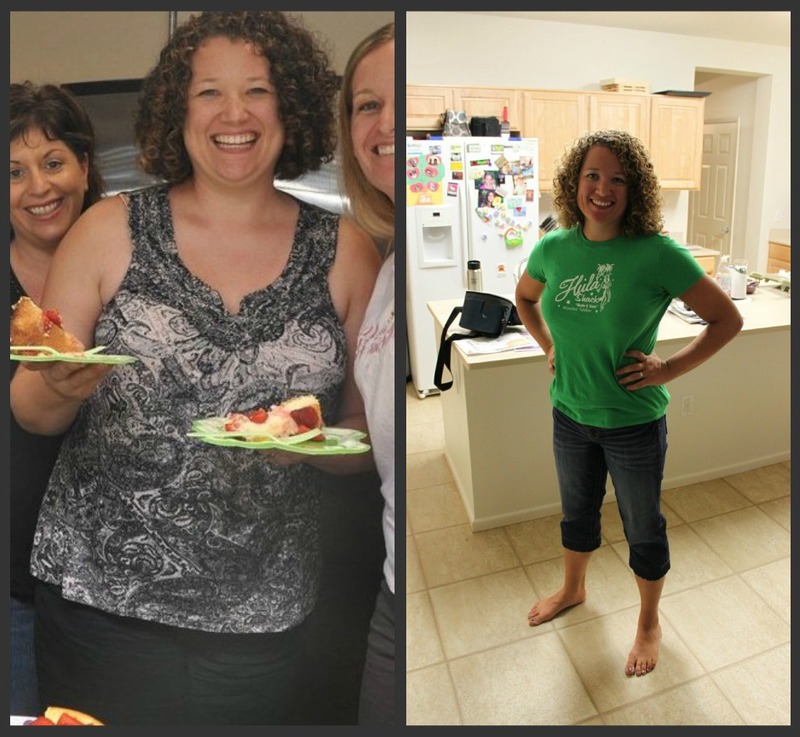 I learned early on in my journey that fitness is more than just trying to shrink. It’s more than fitting into a smaller jean size. It’s about confidence in ALL areas; relationships, reaching out to others (even when it’s scary! ), even just trying something new! Its getting up and being engaged with life, doing a cartwheel with your kid, It’s showing up and doing so with excellence in our parenting journey, our marriages, and every other aspect of life. It’s joy. Pure, deep, and wonderful joy. I will continue to pay it forward. Thank you fit friends! Thank you for showing up and doing hard work and having a blast doing it! Thank you for giving me confidence, for laughing at my jokes, and all of your kind words. I am so grateful for our time together. Until our paths cross again….Fair winds and following seas! I was in a size 16 (barely), should have been a size 18, and was essentially numb to life and going through the motions. The minute that picture was snapped, my smile subsided. Enter bootcamp and learning to live a healthier lifestyle, the rest is history. I’m going on two years of this “transition” or fitness path, and I don’t ever want to go back to the way I used to be. While there are and will be setbacks, there will also continue to be striving ahead, strength gains, and new goals. An on-going continuous way of living that will include moving my body (a lot! ), moving heavy things, and eating! Eating good, tasty, and whole foods most of the time. What I have discovered though, is that for this to be a sustainable, long-term way of living, things have to be in balance as much as possible. I have to enjoy what I’m doing. I refuse to minutely obsess about macronutrient ratios, cry when I don’t like what the scale says, or restrict food to bland chicken and broccoli every single night. (I haven’t weighed myself in over 2 months! Gasp!) I food log every few weeks when I need to gauge where I’m at if I need to, but I try to listen to my body and eat intuitively. (For more on listening to your body, check out Linda Bacon’s book “Health at Every Size: The Surprising Truth About Your Weight”.) While some may see this book as a “Just give up and eat whatever you want”, I do not. I don’t believe dieting and restriction is a long term solution. Bottom Line: Health is not an arrival point. There is no point B in fitness. You never arrive. It’s an on-going, continuous journey. And as much as I like the completeness of being at the destination, this is an area where I have to accept that it just doesn’t exist. I am never more alive then when I’ve just completed a workout, I’m sweaty and what I like to call “all wrung out”. For some reason, I’m never more clear, more focused and more sure of myself as I am when I am doing something physically strenuous. More often than not, much of my writing inspiration comes from random thoughts while running. I distinctly remember on more than one occasion standing in line with other recruits at bootcamp class waiting nervously in line for our turn at the agility course. Mind you, the instructor has just walked through and explained (yelled) what to do, but for some reason – I always doubted. I doubted I could do it, I doubted I could do it right, I doubted I could even remember what she wanted us to do. Every time as I stepped up to my turn, on the balls of my feet anticipating my start, my mind would go blank and I would just GO. (Now this isn’t to say that I always did it all perfect, but the level of doubt I had was not proportionate to my skill.) That “blankness” that “just-stop-getting-in-your-own-way-and-do-it” thing happens all the time when I do something and show myself that yes, I CAN. I am much stronger than I think. I just have to stop thinking about it. When we get to the end of ourselves physically, when we are completely spent, that’s the moment we tap into clarity. We go beyond our bodies and tap into the spiritual. Perhaps that’s why it makes me smile a bit when people ask either how I lost weight (if I have a magic pill or the latest fad diet) or how I have the motivation to keep working out. It makes me smile because if I’ve learned anything over the last two years, it is this: it is really not about the physical. Yes, it’s part of the process, yes, it’s exercise and eating clean and all of that, but the majority of it for me has been my personal growth; my growth in creativity, as a parent, as a friend, as a wife, and as a person. Perspiration leads to inspiration. I love being inspired! That “not regretting a workout” platitude is cute, true, but definitely not the whole story. Smaller jeans are nice, but it’s not the bigger picture. The bigger picture is taking what you’ve learned, passion and inspiration, and passing it on and sharing it with others. When its true passion, it can’t help but be shared. For this passion, this being inspired while perspiring; I am grateful. 50 pounds. Just gotta take it in and celebrate it. I feel like this past year I’ve done quite a bit of “success celebrations”! Life isn’t always rosy, but I feel very grateful to be in my skin, in my shoes, and loving my life. Eric is currently in his “home away from home” on board the U.S.S. Eisenhower. Not having him home stinks. No matter how you look at it, deployments and separations are just plain hard. I had been dreading sea duty. But now that it’s here – there isn’t the paralyzing fear that I once had. And that, to me, is also something to celebrate!